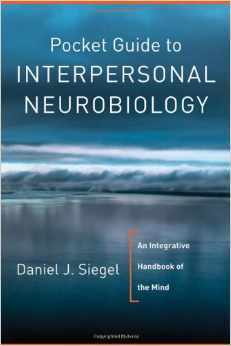 The central concepts of the theory of interpersonal neurobiology. Many fields have explored the nature of mental life from psychology to psychiatry, literature to linguistics. Yet no common “framework” where each of these important perspectives can be honored and integrated with one another has been created in which a person seeking their collective wisdom can find answers to some basic questions, such as, What is the purpose of life? Why are we here? How do we know things, how are we conscious of ourselves? What is the mind? What makes a mind healthy or unwell? And, perhaps most importantly: What is the connection among the mind, the brain, and our relationships with one another? Our mental lives are profoundly relational. The interactions we have with one another shape our mental world. Yet as any neuroscientist will tell you, the mind is shaped by the firing patterns in the brain. And so how can we reconcile this tension—that the mind is both embodied and relational? Interpersonal Neurobiology is a way of thinking across this apparent conceptual divide. This Pocket Guide to Interpersonal Neurobiology is designed to aid in your personal and professional application of the interpersonal neurobiology approach to developing a healthy mind, an integrated brain, and empathic relationships. It is also designed to assist you in seeing the intricate foundations of interpersonal neurobiology as you read other books.